Automeshing algorithms may make life easier but the grids they create lack key qualities. 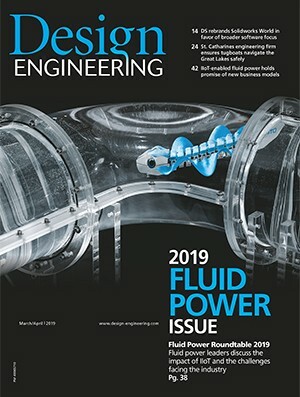 As one of the most critical aspects of solving problems through computational fluid dynamics (CFD), appropriate mesh generation is essential for an accurate solution, faster convergence and reduction of numerical diffusion. One could be forgiven for thinking structured grids are almost entirely redundant in today’s unstructured or hybrid meshing world, but things may not be quite as they seem. In fact, both grid types warrant careful consideration. However, before looking into the pros and cons of structured vs. unstructured meshes, it’s important to understand the three grid types (structured, unstructured and hybrid) and how important mesh quality is to generating an optimal CFD solution. Identified by regular connectivity, a structured grid has two possible element choices: Quadrilateral in 2D and hexahedra in 3D. This model is highly space efficient, since the neighborhood relationships are defined by storage arrangement. An unstructured grid is identified by irregular connectivity. It cannot easily be expressed as a two-dimensional or three-dimensional array in computer memory. These grids typically employ triangles in 2D and tetrahedra in 3D although quadrilateral and hexahedra may also be present. A hybrid grid contains a mixture of structured and unstructured portions. It integrates the structured meshes and the unstructured meshes in an efficient manner. Those parts of the geometry that are regular can have structured grids and those that are complex can have unstructured grids. Whichever grid type is ultimately adopted, the quality of that grid plays a critical role in the overall analysis. For example, better mesh quality increases convergence rate. Poorly formed meshes introduce numerical error, increasing the computational effort required for convergence. For especially poor elements, the numerical order may be locally reduced to promote convergence and stability or, even worse, the solution may fail to converge entirely. In addition, better mesh quality also results in a more precise solution. A good example of this is one’s ability to refine the mesh at certain areas of the geometry where the gradients are high, thus increasing the fidelity of solutions in the region. If a mesh is not refined sufficiently, then the solution’s precision may be limited. While a quality mesh is generally desirable, CPU time is a necessary consideration. For a highly refined mesh, where the number of cells per unit area is maximum, the CPU time required will be relatively large. High Degree of Quality & Control: This is arguably an area where structured grids will always reign supreme. Unstructured and hybrid meshing algorithms are highly automated, and as a result, engineers have to sacrifice control. With structured grids, a higher degree of control means you can produce precisely the grid you require. Structured meshing typically allows the user better control of interior node locations and sizes as interior node placement is directly linked to the user-defined exterior nodes. Better Alignment = Better Convergence: Typically speaking, structured grids are aligned in the flow direction leading to more accurate results and a better convergence in CFD solvers. Alignment in a structured grid is achieved almost implicitly because grid lines and flow follow the contours of the geometry, whereas there’s no such alignment in an unstructured mesh. Less Memory and Time Required: Unstructured grids require large computational memory for storing elements, nodes and a connectivity table to link them. The structured mesh, on the other hand, does not need the storage of any connectivity table as the mesh is defined according to a specified pattern. As a result, CFD computation time is also reduced with structured grids due to reduced cell count. The Data Locality Issue: This point relates to memory layout. It’s a critical concern for CFD on massively parallel GPU architectures where often memory bandwidth is the limitation, as opposed to computation power. In structured meshes, data for elements that are close geometrically is also close in memory by design. As a result, fewer cache misses means better usage of memory bandwidth. Available Solution Algorithms: Structured data allows the use of solution algorithms that can’t be implemented on unstructured data. An example is a sweeping TDMA routine, which can be very beneficial to convergence in certain scenarios. Definable Normals: Application of boundary conditions and turbulence models work well when there is a well-defined computational direction normal to a feature such as a wall or wake. Transverse normals are easily defined in a structured grid. As this article has highlighted, while there are advantages to unstructured and hybrid meshing, the efficacy of structured grids make them a solid choice for computer engineers. It seems they are certainly here to stay, at least for now. This article was supplied by Envenio, a Canadian-based provider of cloud-based CFD analysis.